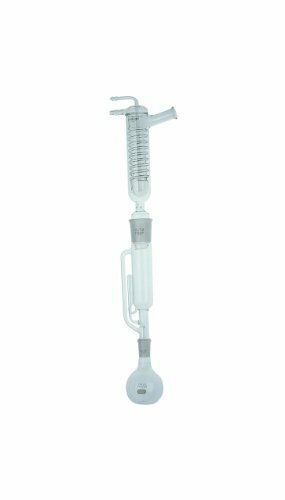 An efficient extraction apparatus for all general purposes. Consists of an extractor, a special Friedrichs-type condenser, and a flask, all equipped with [ST] joints. [ST] 24/40 between extraction and 250mL flask. [ST] 45/50 between extraction and condenser. Condenser tubulation O.D. is 10mm.